This Sunday, San Diego’s streets are going to be filled with people. Well, a few key neighborhood streets will be filled with a lot of smiling faces like you see in the gorgeous image above. The route starts in the neighborhood of City Heights at Cherokee Point Elementary School at 38th and Landis and ends in Grant Hill at 30th and K. The route also traverses the neighborhoods of North Park and Golden Hill. Below is a image of the map of the route (in pink). The streets marked in pink will be closed to motor vehicle traffic this Sunday between 10 AM and 4 PM. 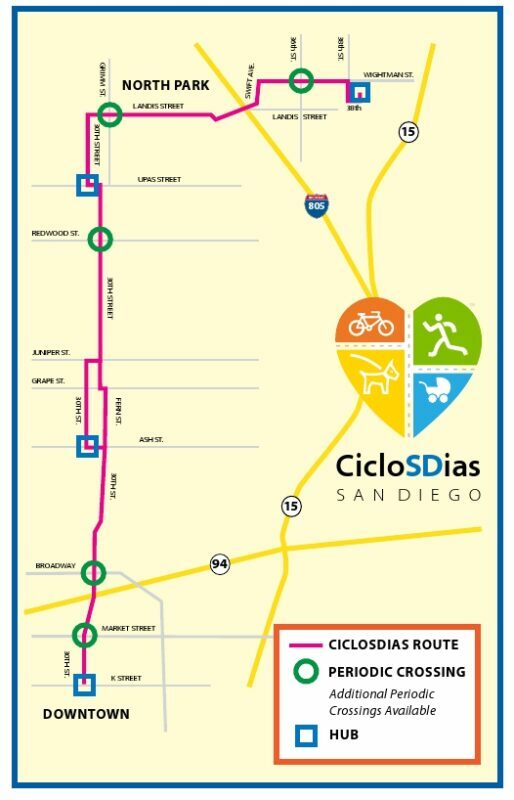 Four years in the making, CicloSDias will connect the oldest, historic neighborhoods into one linear mobile park. We’ll be at the 30th and Upas hub, mere steps away from Sea Rocket Bistro. Would you like to volunteer with us throughout the day and serve up watermelon slices? Sign up here. We love good comedy as much as anyone and in honor of “futurist” Syd Mead’s weird proclamation about one’s inability to carry watermelons on a bicycle, we’re holding a watermelon haul contest on Sunday. We’re going to be serving up watermelon slices and water to sooth everyone’s parched throats. We’ll take pictures of your haul and send it to the editors at the UT and to Mr. Mead himself. Get out those bakfiets and cargo bicycles and panniers load it up with as many watermelons as possible and haul it over to 30th and Upas by 11AM (in a single trip) to the BikeSD hub. The bike with the most watermelons will win a gift certificate to Sea Rocket Bistro. 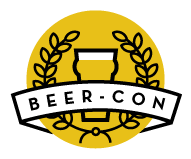 Tomorrow (Saturday) is the last day of Beercon and if you’ve wanted to learn more about our world reknown craft beer industry, BeerCon is the place to learn about it all. Tickets are still available and we’ll be there to cement the relationship between world-class beer and world-class bike advocacy.